The Cool Group International LLC is based in the UAE, with showrooms in Dubai and in Ras Al Khaimah, and has been operating for more than 20 years in the UAE and Middle East region. 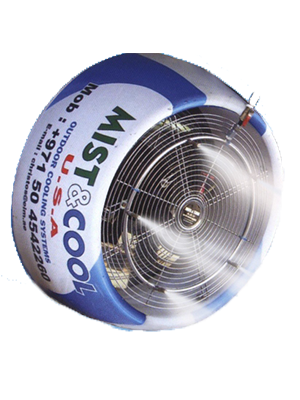 Our premier brand name, “Mist & Cool USA” is the leading provider for cooling solutions around the globe. We also feature the exclusive regional agency for the Cool Master AMERICA, Heat Master, Weltem, AR Korea. Directed by a veteran experienced German, American and Canadian management team, we are a specialized company developing and installing indoor and outdoor cooling, heating solutions for any sized project; private, government, commercial and industrial. Common projects include hotels, mosques, palaces, farms, stables, warehouses, restaurants, nightclubs, malls, waterparks, biking paths, naval, zoos and live events. 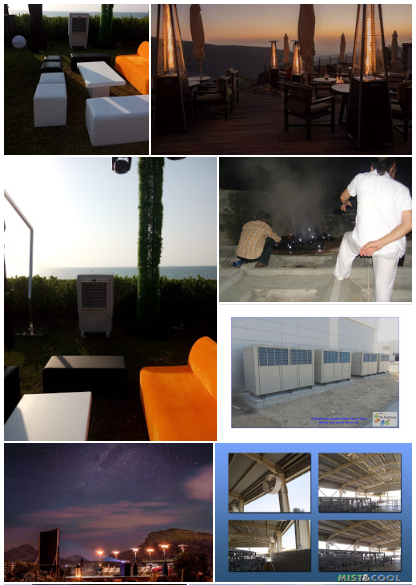 Misting Systems,Outdoor Evaporative Air Cooler,Gas Outdoor Heaters, Industrial Cooling, Special Effects you name it! 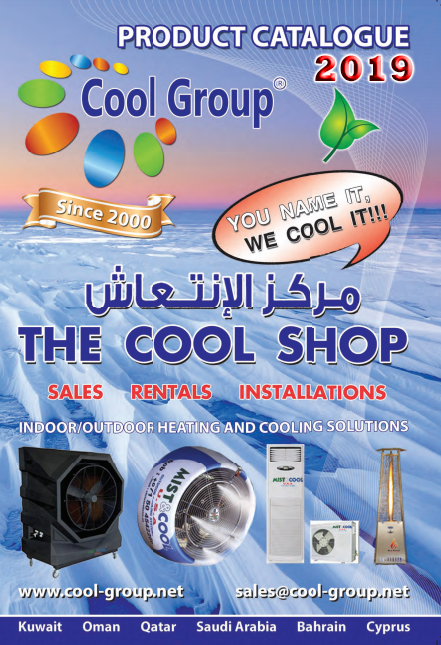 We are the premier suppliers of Outdoor Cooling and Heating products in the Middle East. And was honoured with the 2015 Dubai Municipality Award for Excellence We sell and rent many products and solutions to maximize your comfort no matter the temperature. 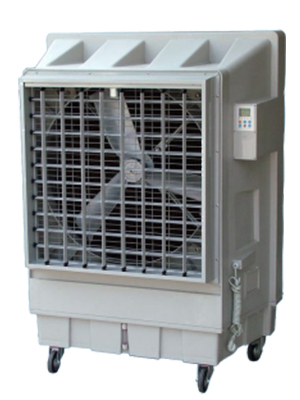 Features and Uses of Evaporative air coolers (swamp or wet cooling machines) An evaporative air cooler or cooling machine works by first drawing in hot air and blowing it over the water surface inside the device. The water absorbs the warmth from the air and evaporates. Therefore, the air leaving the cooler is humid and cold. Note that, it differs from air conditioners which use refrigerant chemicals to cool the air. Also, conditioners are not suitable for outdoor use. If you reside in a hot, arid area, this type is suitable. However, it tends to consume a lot of tap water and takes up space. Also, they are not suited for indoor use since they produce humid air. When it comes to modernity, Dubai is the one to watch. Long term high temperature does not make its visitors sultry, yet the short period of winter does not make them chilled out. How can they be if the best air coolers are available in the dry season, and best Outdoor heaters in Dubai are available for winter? And, do not get them wrong, especially the heaters. In Dubai, the patio heaters may only work for a relatively short time. But, they are the thing most people crave for when the winter hits. If you have any special event planned during a chilly evening, you need a stable source of warmth. You could light a fire but, in the modern era, and there are other better options. 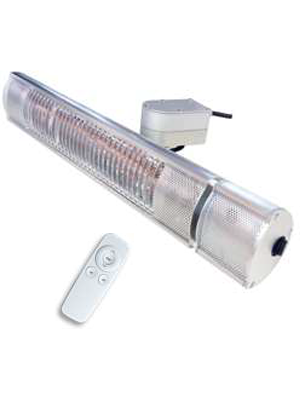 For outdoor heating solutions, Patio heaters will provide warmth to a variety of environments. They can run on gas or electricity depending on the energy required. But, be realistic when buying one, don’t expect too much heat. Gas Patio heaters: They are more efficient and economical than the electric types. They burn propane from hook-up tanks, which are refillable and can be a low-cost alternative. You can use them when you are camping since they are portable. Some are almost 7-8 feet and are not suitable for indoor use since they produce carbon dioxide. 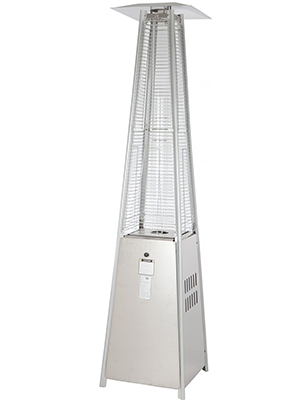 Electrical heaters: They are not expensive and maintenance free making them more convenient. Also, winds don’t affect this kind of heaters. They have bulbs that produce heat which must be replaced with use. When buying heaters look for the following convenient features, button ignition, low waste heat output, automatic shutoff and low power consumption. Gas heaters with an automatic shut-off means that when they fail down accidentally, they stop burning. Heat Master USA is Cool Group Brand in the radiant heating outdoor patio heaters of large and medium-sized projects such as industrial buildings, warehouses, greenhouses and commercial space and for major outdoor sports environments, such as stadiums and sports arenas. We also offer a line dedicated to the heating of mosques, churches, and outdoor spaces and for restaurants, terraces, bars we made some beautiful flame stoves, marked with a unique style and design. 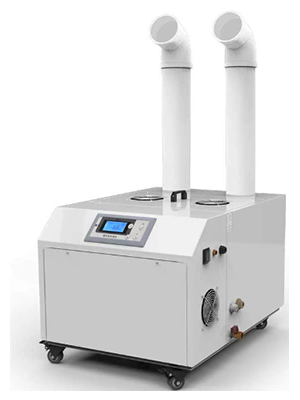 We focused on the field of Heating and commercial heaters, we always keep in mind to provide best technology for UAE and GCC environments, which present particular problems for heating. 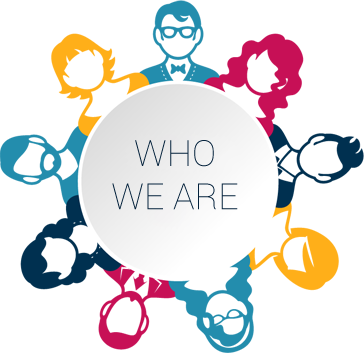 Our know-how and our experience integrates the constant research and development, thanks to which we are able to design and implement innovative solutions to save energy and to ensure environmental friendly solutions. Our aim is to offer the customer a high-quality product that is comfortable, economical, efficient and environmentally friendly, as well as a full service pre and post-sales support. They are based on the principle that when water evaporators it absorbs heat. They have two main elements the misting pump and spray nozzles. 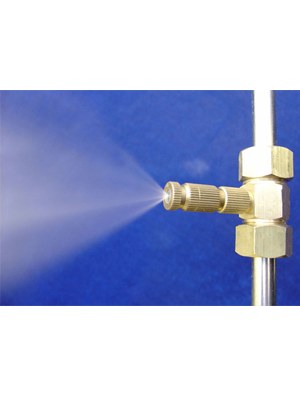 During their operation, misting pump pressures water, that is dispersed to the surrounding using small spray nozzles. It forms small water droplets which evaporate instantly after drawing the heat from the surrounding. They are suitable for outdoor use but can cause the patio and surrounding area to become wet if the droplets are too large. An upside of using misting fans is that they are more energy efficient and take up less space than coolers. When purchasing one, look at the pressure specification; the more the pressure, the better the quality. Air conditioners works best in an airtight environment such as well insulated room with doors and windows closed. These AIR CONDITIONING COOLING SYSTEM is good for indoor events or in a a closed place or tents. Cool group offers FREE STANDING AC, WINDOW AC, different type of SPLIT AC, WALL MOUNTED AC, CEILING MOUNTED, and even PORTABLE AC. 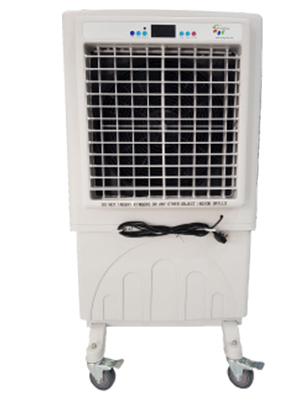 PORTABLE AC: item description: Our Portable Air Conditioner Features SPOT COOLING for large areas where cooling of entire area is not practical like factory, open area, etc. It is much economical to provide cool air to people or material directly than entire cooling. It also provides ROOM COOLING function for closed area to control the temperature of the area. Reduces and maintains the level of humidity in the air, usually for health or comfort reasons, or to eliminate musty odor and to prevent the growth of mildew by extracting water from the air. It can be used for household, commercial, or industrial applications. 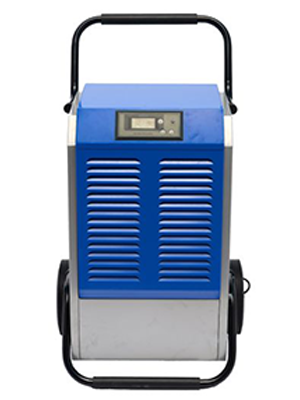 Large dehumidifiers are used in commercial buildings such as indoor ice rinks and swimming pools, as well as manufacturing plants or storage warehouses. Dehumidifiers extract water from air that passes through the unit. 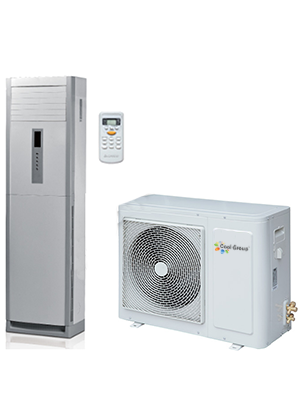 There are two types of dehumidifiers - condensate dehumidifiers and desiccant dehumidifiers. Condensate dehumidifiers use a refrigerator to collect water known as condensate, which is normally greywater but may at times be reused for industrial purposes. Some manufacturers offer reverse osmosis filters to turn the condensate into potable water. Some designs, such as the ionic membrane dehumidifier, dispose of water as a vapor rather than liquid. 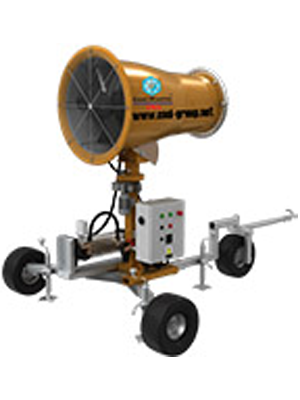 Fog cannon (also known as mist cannon, dust fighter, dust suppression cannon, spray cannon, dust binding machine etc.) is designed for effective dust control. Spraying the fine mist, they help to minimize the dust, reduce the health risk and improve air quality.